New course will appeal to students seeking employment opportunities in areas such as engineering, economics and management. Responding to the needs of candidates desiring to enter careers such as engineering, banking, finance, economics, risk and supply chain management, City University London will launch a brand new MSc in Decision Sciences in September 2013. The course will be taught in the Department of Mathematical Science in the School of Engineering and Mathematical Sciences (SEMS) and builds on City's tradition of providing interdisciplinary training. "The new MSc in Decision Sciences is an important addition to the range of programmes run by the Mathematics Department. It builds on our long experience of providing interdisciplinary undergraduate degrees in conjunction with economics and the Sir John Cass Business School and extends this to provide a modern and wide-ranging postgraduate level course with applications in many areas of management, economics, and engineering." Dr Cox added that the new course will build on the Department's expertise in Game Theory in Mathematics, together with some aspects of the very popular MSc in Project Management, Finance and Risk. This will be integrated with optional specialist modules from other disciplines, such as Economics or Systems and Control Engineering to provide a broad-based and flexible introduction to decision making in a variety of management sectors. 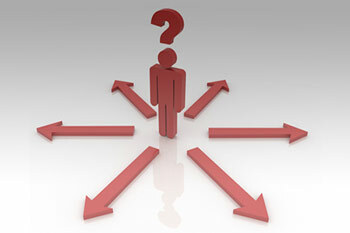 "Decision Sciences is a general term for the science of making correct choices, and covers a variety of techniques including operational research, game theory and computational modelling. The decision making process is central to modern management, and the importance of such methodologies is growing as the types of decisions that need to be made become more complex. Whilst there are many MSc programmes that cover some aspects of these methods, often in great detail, ones that cover a broad range are rare, and this is what the programme has been designed to do. The emphasis is on equipping the student with the insight and ability to adapt to an ever developing field, rather than an in depth knowledge of specific methods and packages." According to Professor Broom, this will leave the student well-placed to work in a variety of areas requiring significant quantitative and computational expertise such as credit risk, project management, information systems and supply chain and operations management, as well as being relevant for positions which require a general understanding of managing risk and organisational behaviour. Please note that this course is currently pending approval.